Evelyn Adelman is a licensed broker in North Carolina. Prior to joining LCRE, Evelyn spent nearly a decade working in finance in a variety of roles in the Fixed Income Division at Wells Fargo Securities. Evelyn participated in the execution of 800 bookrun transactions for the Investment Grade Syndicate desk raising $650 billion in proceeds for companies. Most recently, Evelyn was a bond salesperson on the High Yield Sales and Trading Desk where she managed multiple client relationship and executed $750 million in trade volumes. Evelyn has previously held her Series 7 and 63 licenses. Evelyn is a Charlotte native and graduated from University of North Carolina at Chapel Hill with a Bachelors degree with distinction in International Studies. She is fluent in both Spanish and Russian. She is passionate about Charlotte and spends her free time supporting the Arts. Outside of work, Evelyn volunteers for The Lunch Project, a local non-profit that transforms communities by empowering and connecting kids across the globe. Additionally, she is currently participating on the Charlotte Arts & Science Council Cultural Leadership Program. Chapman Chastain is a licensed broker in the State of North Carolina. Originally from Alabama, Chapman attended Troy University. Chapman relocated from Denver, Colorado to Charlotte in 2016. Chapman now lives in Uptown Charlotte with his wife and daughter. They enjoy spending their free time playing tennis, hiking, and discovering everything Charlotte has to offer. Chapman specializes in Landlord and Tenant leasing services in some of Charlotte’s most exciting infill neighborhoods like South End, Plaza-Midwood, North End, and NoDa. Jon is a Principal and Co-Founder of LCRE Partners. Jon is a licensed broker in North Carolina and specializes in sourcing, funding and managing commercial real estate assets. Jon has been involved on the principal side of over $80mm of commercial real estate investments in the past 4 years. Ongoing projects and past investments include adaptive reuse, single-family development, multi-family apartments and management of over 200,000 square feet of commercial real estate. Prior to founding LCRE Capital, Jon lived in New York City where he was an equity derivatives sales trader at FGC Securities covering hedge funds, asset managers and investment banks. Jon began his career with Bank of America Merrill Lynch where he worked in structured products focused on real estate. He participated in all aspects of over $3 billion in commercial real estate debt obligations. Jon holds the Series 63 and 7 licenses. Mark is a Partner at LCRE Capital and is responsible for sourcing, funding, structuring and managing real estate investments on behalf of the company. Prior to joining LCRE, Mark was a Vice President at Bellwether Enterprise Real Estate Capital where he arranged debt and equity financing through life insurance companies, securitized loan platforms, commercial banks and private equity funds. Between 2014 and 2017, Mark originated or co-originated 38 transactions totaling over $375 million. Mark was a financial analyst at Bellwether Enterprise (formerly Capital Advisors) before being promoted to his role as a loan originator and started his career as a commercial real estate broker at Argos Real Estate Advisors. Mark currently sits on the Center City Partners' affordable housing task force and serves on the Board of Directors of Renaissance West Community Initiative. He also serves in leadership positions with ULI Charlotte. Mark is a Charlotte native and graduated from Princeton University in 2010. Davis Hahn is a Brokerage Partner at LCRE Partners specializing in the leasing and sales of retail and office properties. Davis’ primary focus is on the Charlotte MSA with experience across the Carolinas. Since joining LCRE Partners, he has completed over $70M of transactions. Davis has managed the lease-up of several high-profile retail properties in the Uptown, South End, and Midtown submarkets for clients ranging from publicly traded REITS to local family offices. Most recently he was a partner in the acquisition, renovation and stabilization of a 23,000 SF shopping center on South Boulevard and a 32,000 SF shopping center on Arrowood Road. A Charlotte native, Davis is a graduate of Providence Day School and NC State University, where he worked in commercial real estate while earning his Bachelor’s Degree. Davis currently lives in South Charlotte with his wife who owns a successful local chain of beauty bar salons. Heath graduated Clemson University in 1996 with a BS in Financial Management with a concentration in commercial real estate and a minor in Accounting. After graduation he immediately began working with The Tuttle Company, where he brokered transactions from the locations for the movie the Patriot to retail/ restaurants in the Charlotte Metro area. Developing and brokering a significant part of Manchester Village in Rock Hill, Heath was involved in a Consolidated Theatre, Hilton Hotel, restaurants, retail, and apartments. In 2000 he founded The Providence Group of the Carolinas, where he worked until 2004 when he sold out of his interest in the company. Since the beginning of his career, he has been involved in the development of a Harris Teeter anchored center, a Trader Joe's anchored center, a lifestyle power center anchored by Target, and Consolidated Theaters. In the past 7 years he has broadened his experience to Medical and Professional office with the development of more than 200,000 sf, and the investment sale of nearly $100 million dollars of high quality medical office assets. Most recently Heath worked At Flagship Capital Partners, as their Vice President of Asset Management. Caci Cambruzzi Jaeger brings over 12 years of residential and commercial real estate experience to the LCRE team. She focuses on Asset Management throughout the entire asset lifecycle from the acquisition process, development or renovation, operations through disposition. Aaron Ligon is a licensed Broker in North and South Carolina, and serves as Broker in Charge for LCRE Partners. Aaron is proficient in Leasing & Brokerage, Development and Investment Sales. Aaron annually ranks among the leading producers in the Charlotte MSA. Over the past 15 years, Aaron has developed office, medical-office, retail, multi-family residential, and single-family residential properties, recently participating in over $100mm in mixed use development in Southend, Charlotte, NC. Aaron lives in Charlotte with his wife and 2 sons. In 2005, Aaron co-founded Charlotte Succession, a local 501(c)3 corporation for young professionals, and served as chair for 3 years. Aaron also serves in various roles with the Bechtler Museum of Modern Art. Cynthia joined LCRE Partners in 2017 and brings a robust history of private practice accounting to our team. Over three decades of Charlotte's growth, Frank Martin has been among the city's most active and respected real estate professionals. Following graduation from the University of North Carolina, where he was a Morehead Scholar and member of Phi Beta Kappa, he served in the U.S. Navy. Upon discharge, he entered Harvard Business School as a Spencer Love Fellow. After receiving his MBA, Frank joined an Atlanta firm developing resort real estate in North Carolina, South Carolina, and Florida. Several years later, he moved to Charlotte, where he began his own development firm. Since then he has developed a wide range of properties including Infill condominium and mixed use developments, Single family subdivisions, Conversions of apartments to condominiums, Subdivision of commercial sites, and Medical office buildings. He has served as president of the Homebuilders Association of Charlotte; commissioner of the Charlotte Housing Authority; chairman of Sustainable North Carolina, a business-oriented environmental advocacy group; chairman of The Harvest Center, non-profit providing meals for the homeless; and chairman of Sugar Creek Charter School, a K-8 school serving low income, minority children. Marshall Ranson is a licensed real estate broker in North Carolina. 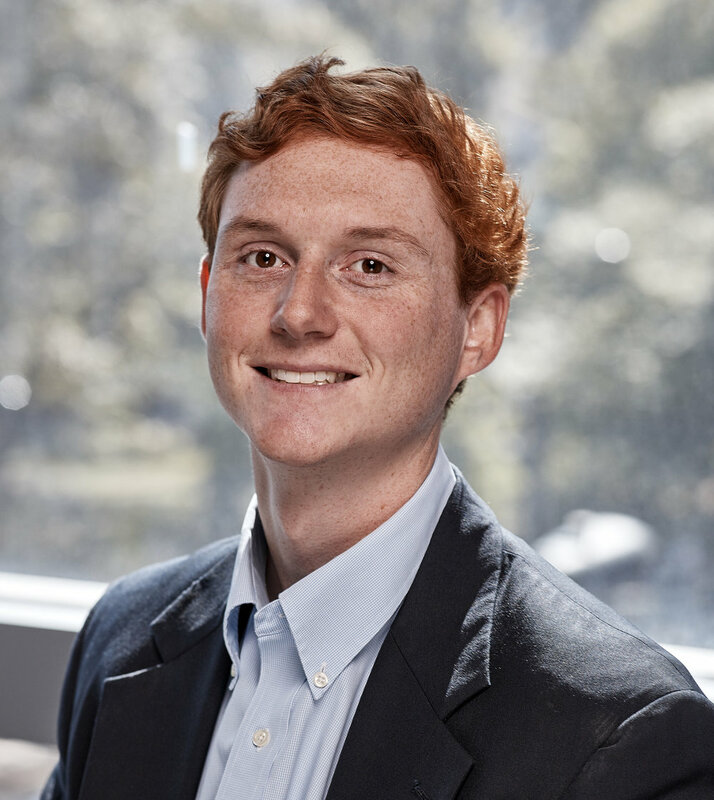 Marshall was an intern in 2016 and 2017 at LCRE Partners, allowing him to gain experience in real estate services and increase his knowledge of the Charlotte market. Marshall is a Charlotte native and graduate of Christ School and University of North Carolina at Chapel Hill where he studied Economics and took several real estate courses through Kenan-Flagler Business School. Marshall is a member of First Presbyterian Church of Charlotte and enjoys spending his free time traveling, hiking, and fishing. Matt is a licensed Broker in North Carolina, specializing in commercial property sales for owners/occupiers and investors. Matt’s education and background in finance translates to high competency in commercial property financing, feasibility, and investment analysis. Prior to joining LCRE, Matt was a Vice President at Bank of America Merrill Lynch where he managed a portfolio of institutional clients dealing in foreign currency sales and trading. Matt began his career with Morgan Stanley in New York City where he worked in Institutional Equity Sales and Research. Matt has previously held his Series 7 and 63 licenses. Matt was born and raised in Chapel Hill and graduated from Appalachian State University where he studied Economics and Finance. 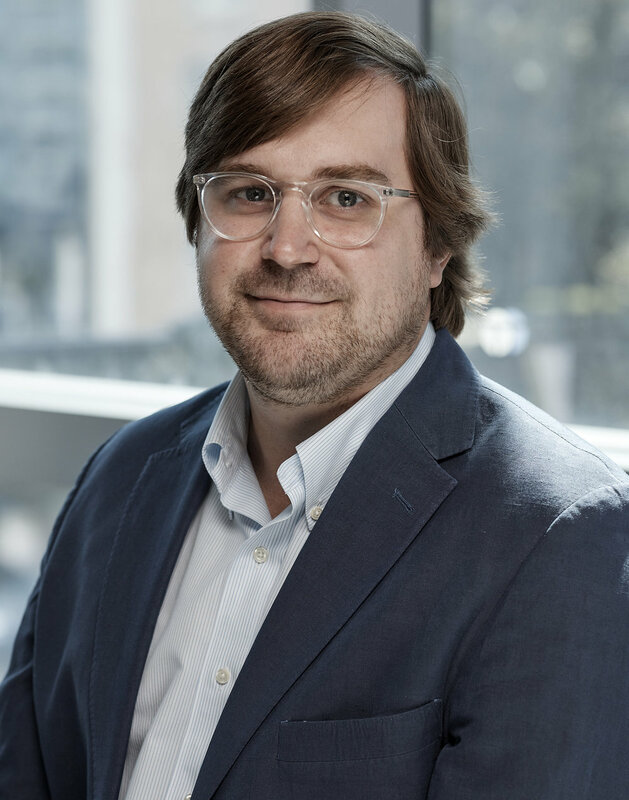 Matt is a member of the Professional Associates Network of the Historic Preservation Foundation of North Carolina and a member of Myers Park United Methodist Church. Matt lives in Myers Park with his wife and son.